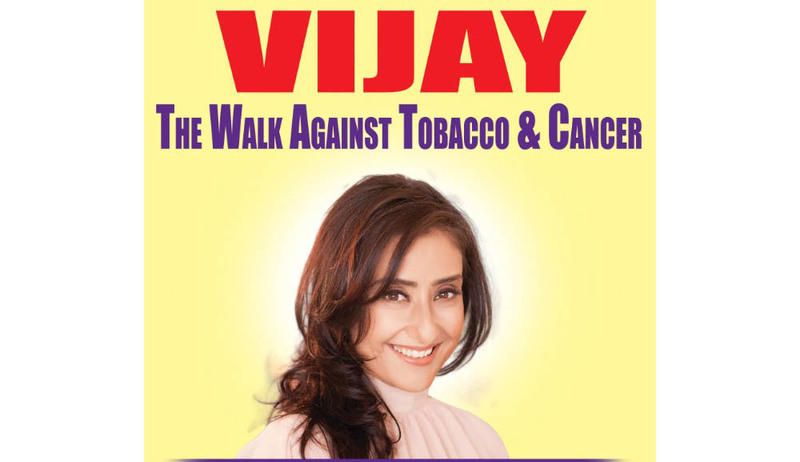 A walk against tobacco and cancer Vijay, will be held from Judge’s Field to the administrative building of Cotton University in Guwahati on February 10. The walk will commence from 10.30 am. Bollywood actress Manisha Koirala , a cancer survivor herself, will inaugurate the walkathon. The walkathon is being organized by ‘Deepsikha- A Trust for Cancer Care’ an NGO that helps poor patients get good cancer treatment across India, and SBI Life Insurance in collaboration with Cotton University. The walkathon is being organized to spread awareness about the dangers of using tobacco and also about cancer prevention and treatment. Koirala will also be attending a special session at the third Brahmaputra Literary Festival on February 10. In the session at the lit fest called ‘Healed: Surviving Cancer’ , the actress will share about the way she battled ovarian cancer. She will also talk in detail about the type of treatment she underwent for cancer in the US and how she rebuilt her life once she got back home.